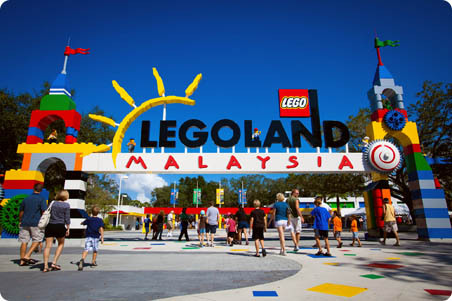 ..Legoland is the latest 'hottest' spot for fun family holiday in Malaysia..definitely everyone wants to be there--what more if it is FOC a.k.a FREE!!! 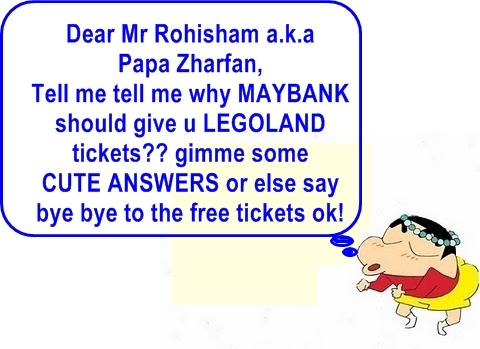 Maybank - Legoland Bloggers Contest is a contest open to all Malaysian residents. 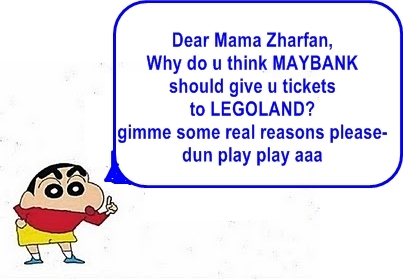 Bloggers will blog about why they would like Maybank to give them tickets to Legoland and they will stand a chance to win tickets to visit Legoland! 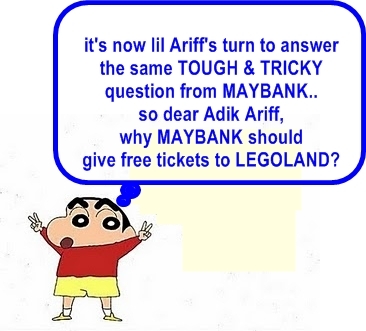 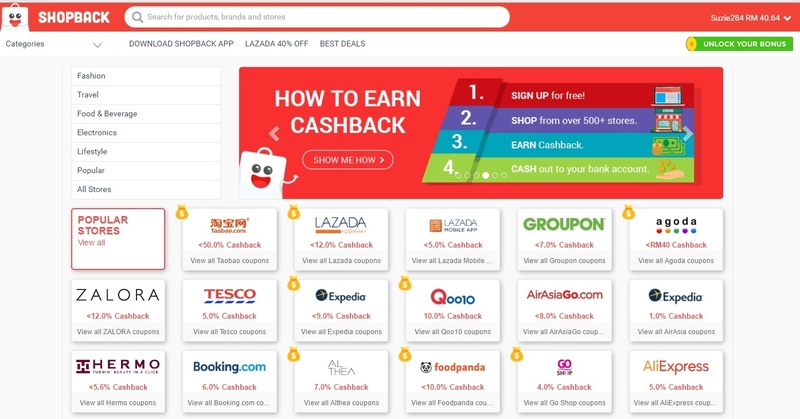 Tahniah ye kak menang untuk contest ni..